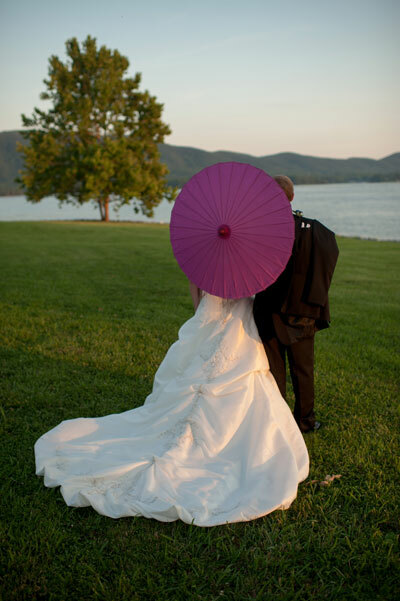 Lucky for Shanna, her cousin was best friends with her future husband for years prior to their meeting! 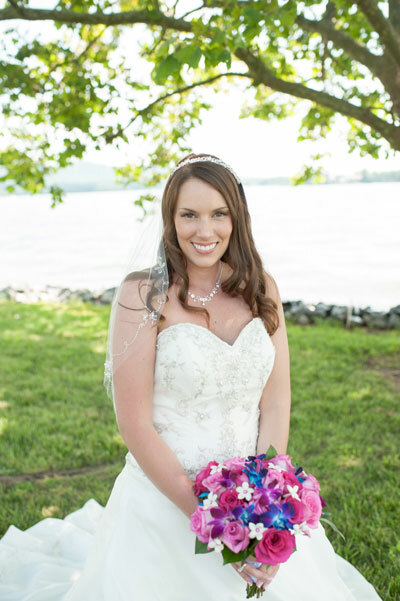 Seven years into Shanna and Michael's relationship, he proposed to her on a boat at Smith Mountain Lake at sunset. After she said yes, he surprised her with a book with pictures and stories throughout their years together. 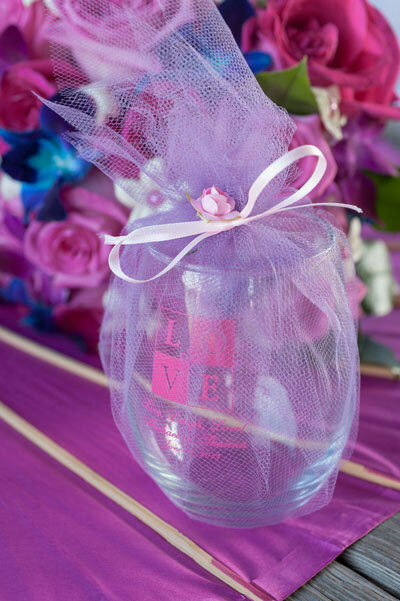 A purple and champagne color palette included cylinder vases with marbles, flowers and floating candles as centerpieces; glasses with the couple's name and wedding date wrapped in purple tulle were given as favors. 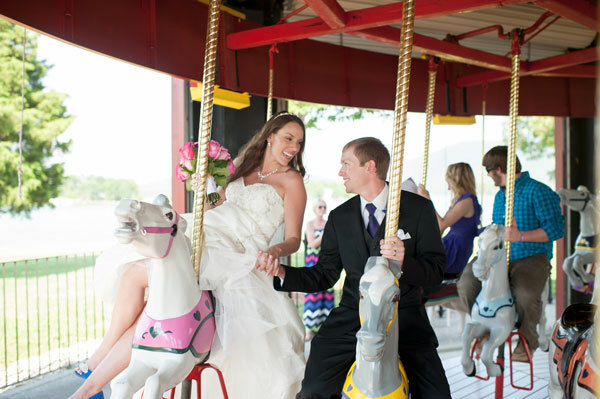 Shanna's bright, summery wedding had fun additional pieces like parasols for guests to have shade during the ceremony; props and setup area for guests to take silly photos; and a carousel for everyone to ride! 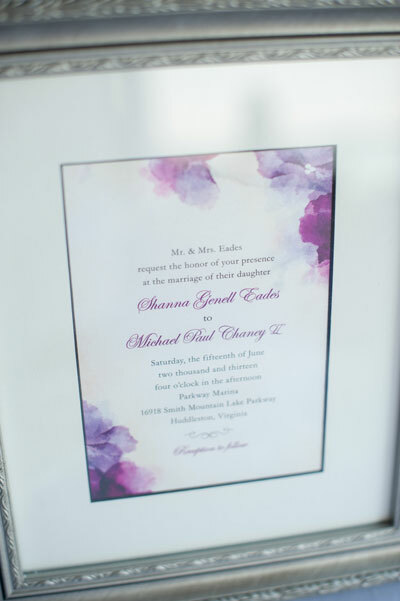 Shanna and Michael were married at the lake, with a gorgeous setting - they could even see the spot where Michael proposed which made it even more special. 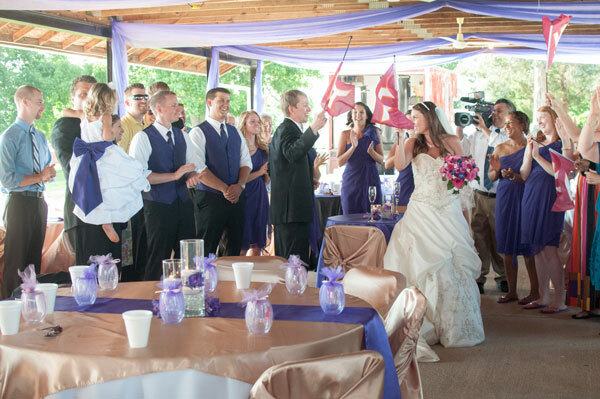 Shanna's favorite part of the wedding was a surprise for Michael - a huge Virginia Tech fan, she arranged for their reception entrance to be the "Enter Sandman" intro from the football games. They walked in to guests jumping up and down, waving VT flags; Shanna says the look on Michael's face was priceless! The newlyweds spent their honeymoon in the Florida Keys where they snorkeled, went on sunset cruises, and even did a dolphin trainer program for a day! 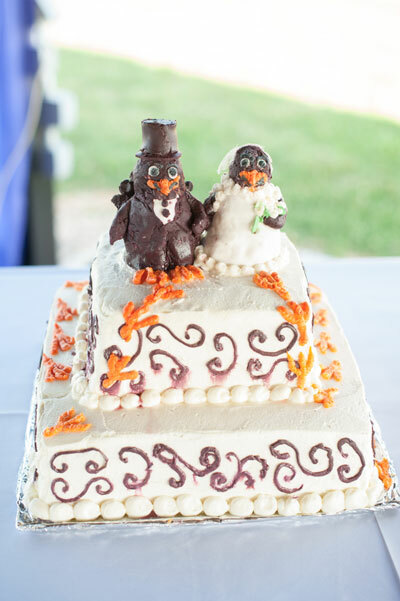 Be sure to see the Chaney wedding on page 46 of the second issue of bridebook, on newsstands now!